Learn the key concepts, issues, and requirements. Make informed buying decisions for GPS equipment. Understand mobile GIS workflows to better allocate your resources. 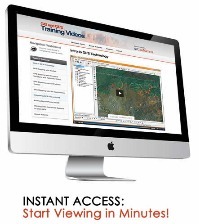 Train and manage your workforce to collect GIS-ready GPS data. Get out in the field and start collecting quality GPS data! Choose from 9 courses and start watching instantly!